Prime Property and Casualty Insurance Inc. will provide you with a customized quote despite your past history. Whether you have a bad claims history, substandard DOT scores or moving violations, we can provide coverage options. PPCI has over 30 years of experience and an expert legal team ready to provide you with a defense. 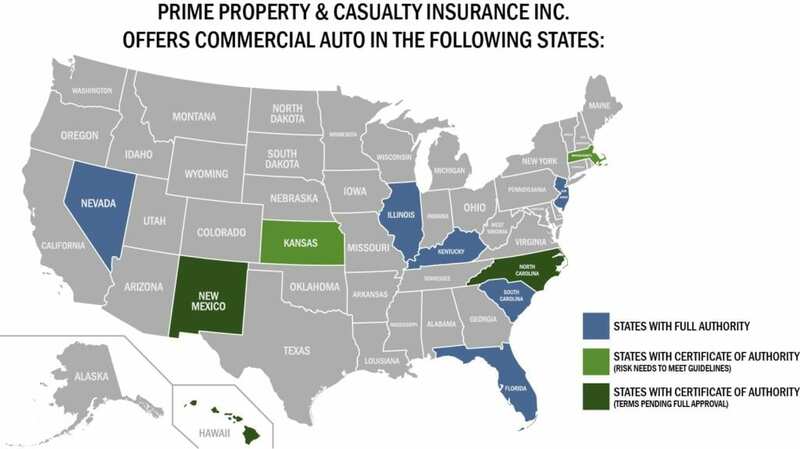 You may feel like you have run out of options when it comes to your commercial auto coverage, but Prime Property and Casualty Insurance Inc. (PPCI) will not hold your past against you. We provide Property and Casualty Insurance for commercial auto owners, employers, and operators who need to insure their vehicles and drivers. We are the difference between staying in business and closing your doors. PPCI provides flexible, customizable policies for your specialty risks, even when you have been turned down in the past. Do you have a Surplus lines License?